Like me, I bet you have a Vision of your business. You spent all that time imagining, massaging and perfecting your “Unique Value Proposition”. It consumed you, it fired your Passion. You may have a Manifesto. I always loved that word: a public declaration made to the whole world of a group’s intentions and motives; all the great Modern art movements had to have one! Where is it now? Is it tucked away in some file that you get out once a year when you’re reminded you really should review it? Is it emblazoned for all to see & be inspired by (staff and clients alike)? Now’s the time to dust it off, put all that hard work to good use. I’ll guide you through some easy steps and show you how to translate your Vision into Reality. Your Vision demonstrates your Passion, Drive and Leadership. Have you carefully “stage-managed” your business? 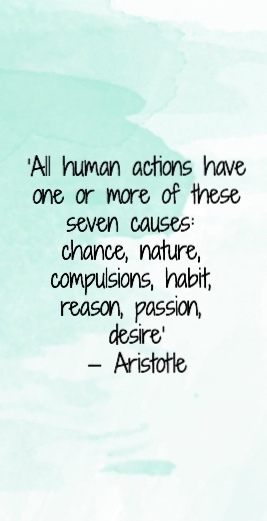 Is your workplace planned with purpose, from Entree to Sortie? You’ve already made an impression on your clients and prospective employee’s; does that impression align with your Vision? Treat your clients and staff equally in this manner – both need to know and be inspired by your Vision, communicating it in a way that captures the imagination & mind, to create a passionate work culture. And why should you care about visually communicating your vision? I know it may sound obvious, but time and again I’ve walked into businesses and my first impression said old, outdated, mis-matched & un-cared-for. If your business consists of outdated 20 year old furniture, carpet which is stained and worn out, light fittings that don’t work, it all gives a negative first impression that you don’t care about your business, your clients or your staff. One anecdotal experience I had when critiquing the quality of an airline lounge’s existing client facilities, is that the staff had a shortage of chairs, and they happened to be given old, used chairs from a rival airline to use for their customers. Anyone in the travel industry knows that airlines competitive-ness is second to none. Needless to say this is a great example of: 1. Consider every investment you make, and ask “does it reflect my Vision”?, 2. Don’t use inappropriate furniture (especially not hand-me-downs from a competitor), and 3. Educate your team on the expected quality of presentation in your business. Positioning your brand is a strategy to occupy a distinct position relative to competing brands in the mind of your customer. If your customers are mostly Women, don’t go for a “Mad Men” look even though you may like the style – it may be cool, retro & on trend (I hate that term) at the moment but it is the wrong type of image & sends the wrong impression to your clients! Wow your client and give a great client experience! Airlines do this especially well. I’ve had the lucky experience of being treated as a guest by Etihad in their business, first class & VIP lounges so that I could understand how their spaces feel while business and first class passengers are having that experience. A cocktail, an A la Carte dinner, and a spa massage experience before a flight from London back to Melbourne had me feeling well-pampered, cared for and got me really, really relaxed! This was all in an environment that oozed luxury, sophistication, and had a high emphasis on service. I had a really memorable experience. While it may not be appropriate to your business, it give a great example of business thinking that is aways thinking about new ways to serve & help their clients. It could be as simple as being attended to offering a coffee during a meeting, having comfortable furniture & interesting reading material (that appeals to your customers) in your waiting area. If it’s an client presentation your having, arrange for catering from the local cafe. Give a memorable experience and clients will love getting away from their own office for a break. If they can’t get away, bring it to them. I remember one air conditioning contractor who would pop in occasionally with donuts from Queen Vic market for all the staff! Here, it’s all in the detail! How are you unique from your competitors? I’ve designed for Citrus (a local Melbourne Marketing agency), and they were different to their competitors because their client’s products where generally marketed to Women. The “Mad Men” marketing agency look would definitely not have cut it. They wanted a feminine corporate look for their office, emphasising quality, timeless materials such as marble, and softer textures of rugs and natural veneer to add warmth, whilst still achieving that classic look. In a world where your service or product is the same as your rivals, you need to stand out. Attention to quality and attention to detail that your clients recognise the value of conveys a different attitude towards your business and create a higher perceived value of your service. 6. I wish I worked There! Employees should be considered like clients too. Melbourne law firms recognise the importance of a first and ongoing impression for attracting potential staff. Every year, outgoing law students finishing their degrees compare rival companies as potential employers. I’ve re-designed front of house reception, board and meeting areas with this in mind; creating a great first impression. But it’s more than just the front of house for potential staff, especially in small companies. Promoting a great office culture, well considered working and communal spaces, down to the little things like fruit provided for staff all contribute to making a great first impression. Your employees wanted to work with you when they first applied for the job; remind them every day of why they love what they do and love working with you and your clients. I’ve worked with legal firms that really understand this from a client and staff retention perspective; like most companies, legal staff move from one firm to another, or know of staff in other similar firms so here. They’ll hear & be enticed by stories of the “grass being greener on the other side of the fence”, when old colleagues leave and tell stories of their new workplace. Your staff know their company’s purpose, and are reminded of it every day. A vision makes everyone feel like they belong as a part of the “team”, and generate motivation and engagement. Pride inspires and turns people on, and pride in the workplace is essential to fostering a more energised environment. Create a place that employees feel proud to invite your clients for meetings, rather than embarrassed. 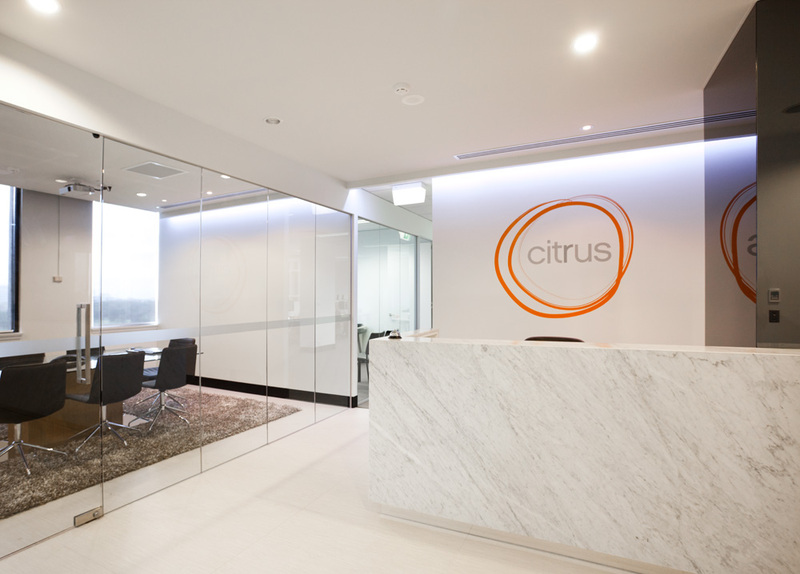 Citrus wanted a feminine corporate look for their office, emphasising quality, timeless materials such as marble, and softer textures of rugs and natural veneer to add warmth, and adding reflective surfaces for a subtle hint of glam, whilst still achieving that classic look.